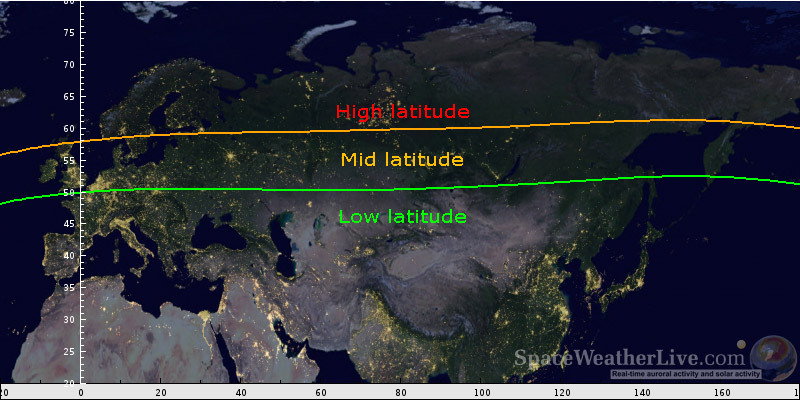 When you read forecasts about possible auroral chances, we speak often about the high, middle and low latitudes. But what does that mean? There is no exact definition where that boundary lies but the high latitude is situated around the 60° magnetic latitude and higher; the middle latitudes between the 50° and 60° magnetic latitude and everything below the 50° magnetic latitude is considered to be in the category of low latitude.